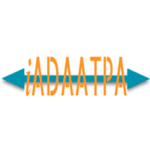 May 19, Valencia – Pangeanic will attend machine translation Industry Leaders Forum on 2nd and 3rd June in Dublin. The TAUS Industry Leaders Forum is a unique gathering where around 60 directors of internationalization or globalization departments and services from global corporations, machine translation companies and successful technology start-ups, share best practices and experiences with translation companies and suppliers of language services. 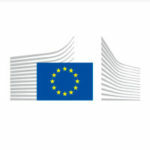 The shared interest of TAUS’ high-level meetings is to address common issues and challenges they face as key people in providing more efficient multilingual translation processes. As one of TAUS’ founding members and a success story in its MT data-sharing platform, Pangeanic has vested interest in attending the forum and share its findings. 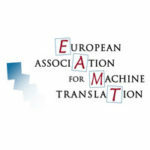 A frequent speaker on machine translation solution PangeaMT at TAUS events, Pangeanic’s CEO Manuel Herranz will meet other industry leaders in Dublin to discuss critical industry concerns on strategic, tactical and operational levels, such as the adoption of machine translation technology, geo-customization, interoperability, quality evaluation, data sharing, industry benchmarking, crowdsourcing, etc. Defining best practices, agreeing on common approaches and sharing metrics and resources feature high in Pangeanic’s agenda. Leading technological companies such as LinkedIn, Microsoft, Google, Adobe, Oracle, EMC, Cisco, TripAdvisor, Dell, Harley Davidson, PTC will also attend. The Forum will be opened with a debate between Nicholas Ostler, author of the book “The Last Lingua Franca”, and Lane Greene, editor of the Economist and author of “You are what you speak”, discussing the future of English and the role of technology in global communications. The Forum will be followed by the QE Summit on June 4. At the QE Summit companies will discuss the specific challenges of translation quality evaluation. Pangeanic is leading machine translation developer with specialized translation services which serves companies requiring faster and efficient multilingual solutions. Pangeanic’s mission is “to offer specialist translation, content and language solutions to document producers for global use.” The mission of PangeaMT – our customized, domain-specific MT technology division, complements the first mission: “Bring democracy and affordability to Machine Translation”. 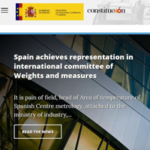 We envision translation as a standard feature, a utility, that will be incorporated in products and services. Language accessibility to information, documentation will change and push the evolution of human civilization to a much higher level of understanding, education and discovery.